Being aware of ingredients and the science behind their advantages to our health can be the best decision we can make. The market is teeming with fat-loss capsules and sauna belts which does no provide concrete reason as to how it can tone our stomach. But when in doubt, turn to nature. 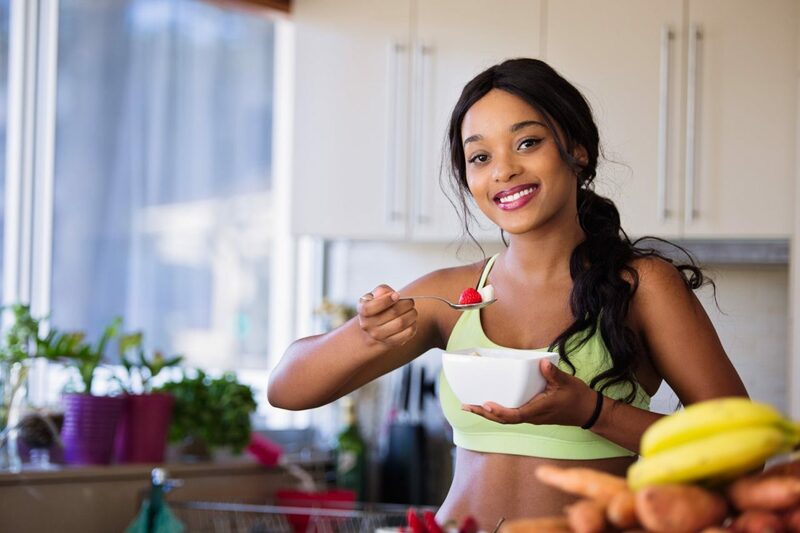 Food, fruits and drinks that are rich in minerals, nutrition and goodness to help us lose weight through consumption can be cost-effective as well as a guarantee to our goals of losing belly fat. Let us look into such goodies. Almonds are quite a morning buddy for us fitness enthusiasts. A few of these popped in the morning will help you lose your belly fat through its omega-3 fatty acids and fiber. While the mono- and poly-saturated fats target your stomach, the fiber keeps you feeling filled for longer, hence reducing food cravings. Fiber is a beautiful nutrient. Not only does i help regulating bowel movement and help with digestion, but also when consumed, keep you feeling sorted well after a meal. This way, no extra amount of food gets inside the system, helping store more fat into the body. This can be added to salads, smoothies and many other dishes for a little crunch. Cranberry juice is popular for flushing out excess water out of the system that leads to the stomach bloating. The organic acids such as citric and quinic acids helps as digestive enzymes and regulates our systems. Cranberry juice also contains anti-oxidants that help in keeping away diseases as well as regulating our cholesterol levels. Cinnamon heats up the system thus helping us lose overall body fat. This is done through metabolic aid. This helps in regulating cholesterol in the body as well us keeping us feeling light and healthy. Cinnamon powder in warm water with a dash of honey can show you steady results within a few weeks. Fish might be not on everyone’s gastronomic agenda but can surely help you shed those extra pounds. Omega-3 fatty acids in fish oi helps in reducing fat storage by reducing the cortisol level. On another note, omega-3 helps in muscle building meals. When your body starts having leaner muscles, this automatically points out that the excess fat is leaving your body. Garlic aids in increasing the body’s metabolism an hence reducing fat storage in blood. This keeps both blood pressure and obesity under check. Add garlic to your daily meal for that oomph of flavor and health benefits. Ginger, similar to cinnamon, increases the body’s temperature quickly. Adding ginger to a cup of black tea can help boosting your metabolism and lose the belly fat. With cholesterol lowered and balanced through ginger tea, you can always sip on this energizing tea and have your body burn the fat while you work. They can make you tear up, see stars as well as lose those flab you have been wishing for so long. Capsaicin helps increasing the body’s temperature upon consumption, which steadily uses up your calories stored, thus flushing out anything that helps storing fat. Nothing as refreshing and energizing as lemon water. This is a natural detoxifyer and helps clearing out waste from your digestive system, helping you flush out any formed of stored extra fat content in the body. The digestive enzymes present in lemon water is very effective and this can be drank every morning to flush out the system of excess toxins. Green tea is rich in anti-oxidants that help your body shed fat, specially around your belly which is the hardest area to shed pounds from. A cup of green tea in the morning or night post-dinner can help attack your adipose tissue to improve your metabolism rate and better digestion. These ingredients will make sure to tone your stomach and provide you with the physique you find yourself most comfortable in.